After two years of revenue boom, marijuana advocates fear that a federal crackdown on recreational marijuana would be catastrophic to Colorado’s economy. With the likelihood of Alabama Sen. Jeff Sessions being appointed as the U.S. attorney general, marijuana businesses are left uncertain about how he might approach federal law on marijuana. The Obama administration chose not to enforce the federal ban on the drug when states led by Colorado legalized it. 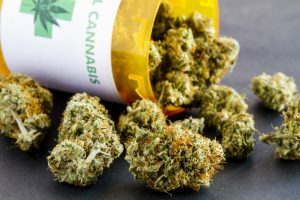 Advocates say that the medical marijuana industry has won wide acceptance across the country, but recreational marijuana is the more likely to be in danger. “Jeff Sessions really does hate marijuana,” but this is going to come down to a states’ rights issue and the resources the federal government is willing to dedicate to marijuana enforcement, said Brian Vicente, a Denver-based marijuana attorney and advocate. 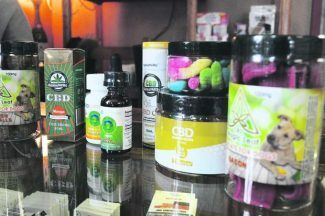 Colorado’s recreational marijuana industry includes 440 retail marijuana stores, 623 cultivation facilities, 240 product manufacturers and 12 testing facilities, Robert Goulding, Colorado’s Marijuana Enforcement Division spokesman, said via email. 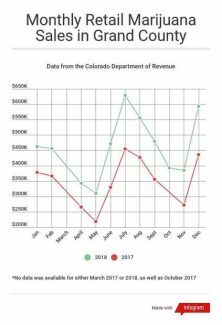 The Colorado Department of Revenue collected $141 million in revenue from taxes, licenses and fees from the medical and retail marijuana businesses in 2016, said Goulding. This is an industry that does more than $1 billion annually in direct sales, about $800 million from recreational marijuana and $300 million from medical, said Vicente. Factoring in affiliated industries including commercial real estate, construction, ancillary goods and services, legal services and tech services, the Colorado marijuana industry’s total economic impact in 2015 was $2.3 billion, Kristi Kelly, executive director of the Marijuana Industry Group, wrote in an email. At the first of this year, 30,866 people in Colorado held marijuana occupational licenses, though that doesn’t mean that many people were employed as such. The marijuana industry has about 18,000 jobs across the state, with 10,000 of those in Denver alone, said Vicente. Kelly estimated the number at more than 20,000 people working directly in the licensed industry. “That’s a lot of high-paying middle-class jobs,” said Kelly. A crackdown on recreational marijuana would probably launch Denver into a recession, which would reverberate throughout the state, said Vicente. Sessions would not be able to change Colorado criminal laws, so if you’re an adult 21 older, you could still possess and grow marijuana. And though Sessions could have the Drug Enforcement Agency come in, raid stores and arrest owners, that’s a resource-intensive option that Vicente regards as unlikely. “But they could try to shut down the regulatory structure that empowers the industry,” he said. 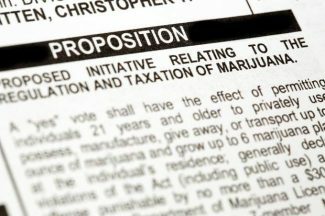 Another option is for the federal government to send a series of letters or memoranda to the state pressuring it to comply with federal prohibition, or could threaten to sue Colorado’s Marijuana Enforcement Division, the state’s regulatory arm over marijuana that issues the licenses allowing recreational businesses to operate. That would be extremely disruptive to the recreational marijuana industry, and it would arguably cost only the price of postage, said Vicente. It would be somewhat resource-intensive to file a lawsuit, but there’s definitely an argument that the Marijuana Enforcement Division itself is violating federal law by issuing licenses. Congress has passed a budget rider restricting the DEA from raiding medical marijuana businesses, though that doesn’t apply to recreational marijuana, he added. With 28 states having medical marijuana, and now eight states with legal recreational marijuana, it really seems like the momentum is for broader marijuana laws rather than more restrictive marijuana laws, said Vicente.